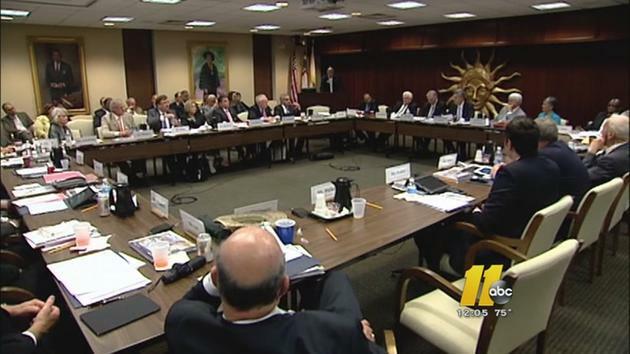 CHAPEL HILL, NC—As the Board of Governors continues its review of UNC-System centers and institutes today, multiple members have voiced publicly their support for the use of affirmative action in selecting centers for possible defunding. “Of course whether or not a center serves a marginalized community helps determine how far they go in the review process,” said John Fennebresque, Chairman of the Board of Governors. “We know that many times those centers, based on institutional factors like student involvement, expansive social missions and diligent staff members, would be the least likely to get this far. “Affirmative action in this process helps guarantee diversity and that we don’t defund anything that privileged people might use,” he added. Fennebresque said that this does not mean that other centers will not be up for review. Board member James L. Holmes Jr. says that right now taking affirmative action is especially important. “With record numbers of people experiencing poverty in North Carolina, the murders of Michael Brown and Eric Garner, the Wainstein report and a growing consciousness about the vast problem of college sexual assault, it just seems fair that those centers studying and dealing with poverty, race retaliations, women’s issues and other marginalized groups should be the first to be reviewed,” he said.